Backed by Experience. Grounded in Expertise. 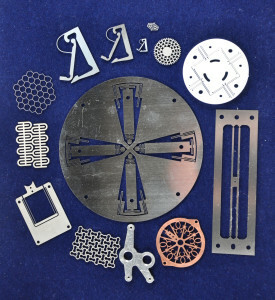 As a seasoned contract manufacturer, Walter Maurer, Director of Waterjet AG in Aarwangen, Switzerland, decided to co-develop a high-precision waterjet cutting technology to meet and exceed his customer’s expectations. His source of inspiration was a collection of unfulfilled customer inquiries he had collected over several years. Working with a regional technical institute in Switzerland, all of the important components such as pressurization, valve, ductwork, cutting head and abrasive system were analyzed during a two-year research project. Today, the result is an abrasive water jet that is bridging the gap between existing cutting technologies including EDM and Laser. 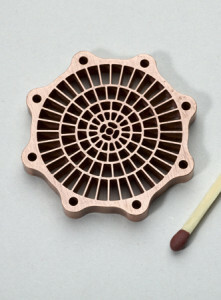 Home to Micro Waterjet LLC since 2009, Max Daetwyler Corporation USA opened its doors on Long Island, New York in 1975. Initially the company manufactured Doctor Blades for the gravure printing industry and to service equipment manufactured by the Swiss parent company. The business quickly expanded and relocated to Huntersville, North Carolina in 1990 to continue the sale of products and services. The facility now provides engineering, design and manufacturing of custom machinery and systems, systems integration, automation & controls, material handling and machine rebuilding and refurbishment.